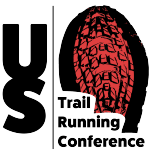 Written by Nancy Hobbs, USATF Mountain Ultra Trail Council Chairperson. 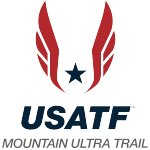 Following the US haul of five medals – three bronze, one silver, and a gold – from yesterday’s competition at the 33rd World Mountain Running Championships, the athletes reflect on the course and the experience. “Loud” – Talon Hull, 18, Ogden, UT, 3rd place in 28:01. “Amazing” – Joseph Simmons, 19, American Fork, UT, 22nd place in 30:11. “Fun” – Jackson Brill, 19, Boulder, CO, 29th place in 30:55. “Grinder” – Nate Fedel, 19, Omaha, NE, 40th place in 32:58. I really enjoyed running through the town and the really steep climbs. The town is pretty, it’s just a beautiful place to run. It’s fun running on that cobblestone…I’ve never run on that before. The people leaning out their windows cheering and all the flags – it was an amazing experience and I’m glad I came. It’s pretty cool to have the bronze medal. One word to describe the course from the junior women’s team. “Brutal” – Lauren Gregory, 18, Fort Collins, CO, 3rd place in 33:33. “Ridiculous” – Quinn McConnell, 16, Erie, CO, 11th place in 35:11. “Versatile” – Soleil Gaylord, 16, Telluride, CO, 16th place in 36:04. 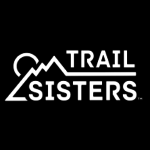 “Challenging” – Julia Jaschke, 19, Greenwood Village, CO, 38th place in 40:03. One word to describe the course from the senior women’s team. “Rad” – Allie McLaughlin, 26, Nashville, TN, 5th place in 1:06:06. “Extreme” – Addie Bracy, 30, Longmont, CO, 8th place in 1:07:46. “Diverse” – Kasie Enman, 37, Huntington, VT, 13th place in 1:09:11. “Hot” – Caitlin Patterson, 27, Craftsbury, Commons, VT, 23rd place in 1:12:14. “Emotional” – Joseph Gray, 33, Colorado Springs, CO, 4th place in 55:35. “Steamy” – Patrick Smyth, 31, Santa Fe, NM, 8th place in 57:19. “Blazing” – Andy Wacker: 28, Boulder, CO, 30th place in 1:00:52.